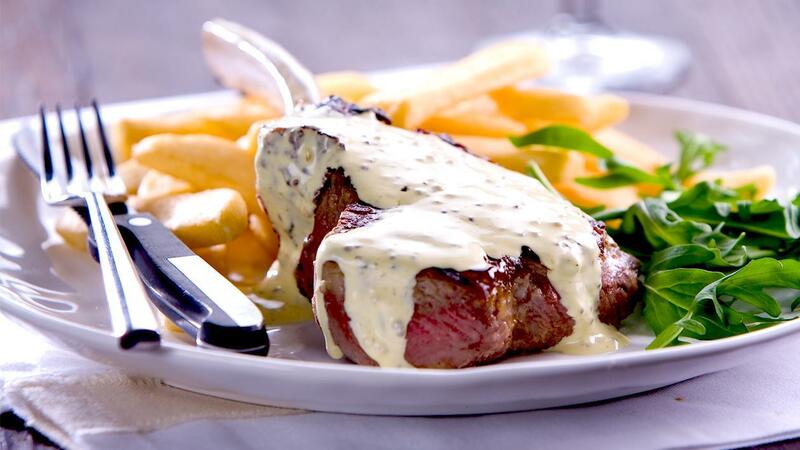 Adding béarnaise to a classic steak and chips makes it a true brasserie dish. Add oil, salt and pepper to the steak, char-grill, allow to rest for 5 minutes. Heat the KNORR Garde d'Or Béarnaise Sauce. Serve the steak on a plate with the thick cut chips and pour over KNORR Béarnaise Sauce.